If you are new to PLC programming or want to enhance your programming skills, then you really have to work hard. For this you will need good mentor and good books for your help. 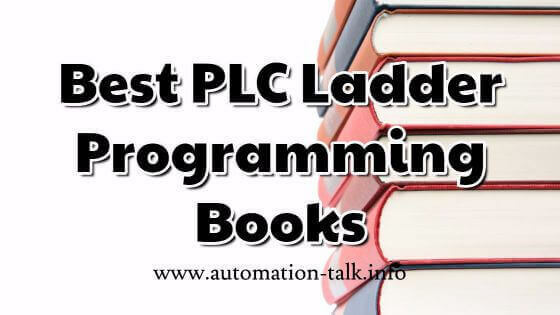 Today here we will discuss about some of the good PLC Ladder Logic learning book which will help you in your Industrial Automation carrier. Subscribe to Automation-Talk by Email. Programming Controllogix Programmable Automation Controllers strength is its breadth and depth of coverage, taking the reader from an overview of the Programmable Logic Controllers through ladder logic, structured text, sequential function chart, and function block programming. Students learn more and more easily because of the practical coverage, numerous examples, and extensive exercises. Programmable Logic Controllers emphasizes practical use of the PLC in the process and industrial control systems. The textbook begins with the basics of what a PLC is and does, then guides students through the fundamentals of programming the device. Applications, testing procedures, and operational aspects of PLC equipment and systems are discussed. This text covers the most common programmable logic controller functions, providing practical examples based on the widely used Allen-Bradley Small Logic Controller (SLC 500) series of PLCs. Wiring and programming of a PLC are covered thoroughly, using numerous examples. A supplemental laboratory manual provides a wealth of hands-on activities that will help students practice and hone their PLC programming skills. Hope you will like these books and if you have any other good suggestions, please comment below. any free pdf available for the above mentioned books? cuz it looks more costlier to purchase. No free PDF available, please check the Buy link.